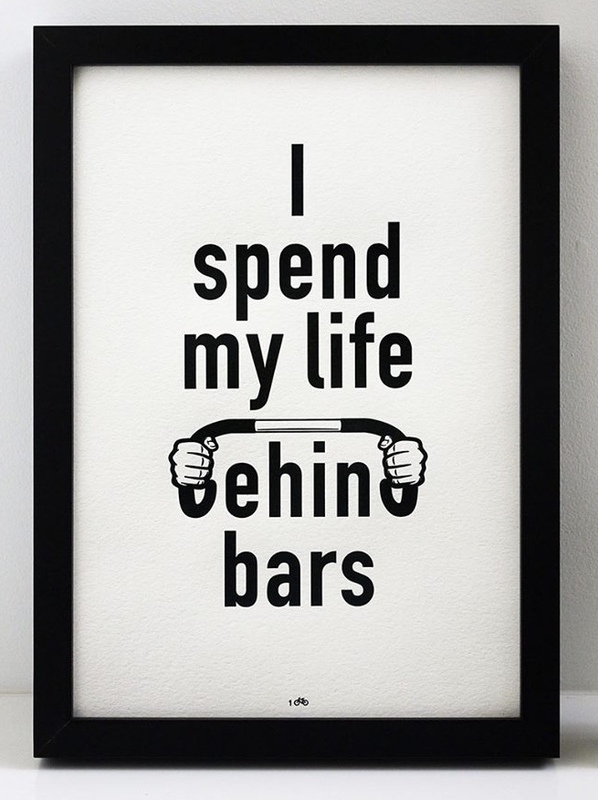 The latest collection of cycling art prints from 100 Copies, is the I Spend My Life Behind Bars series. 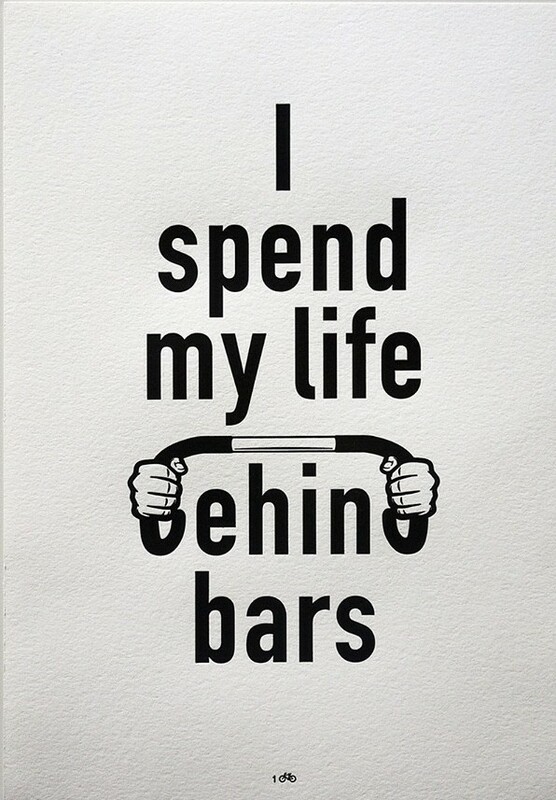 Inspired by cyclists. 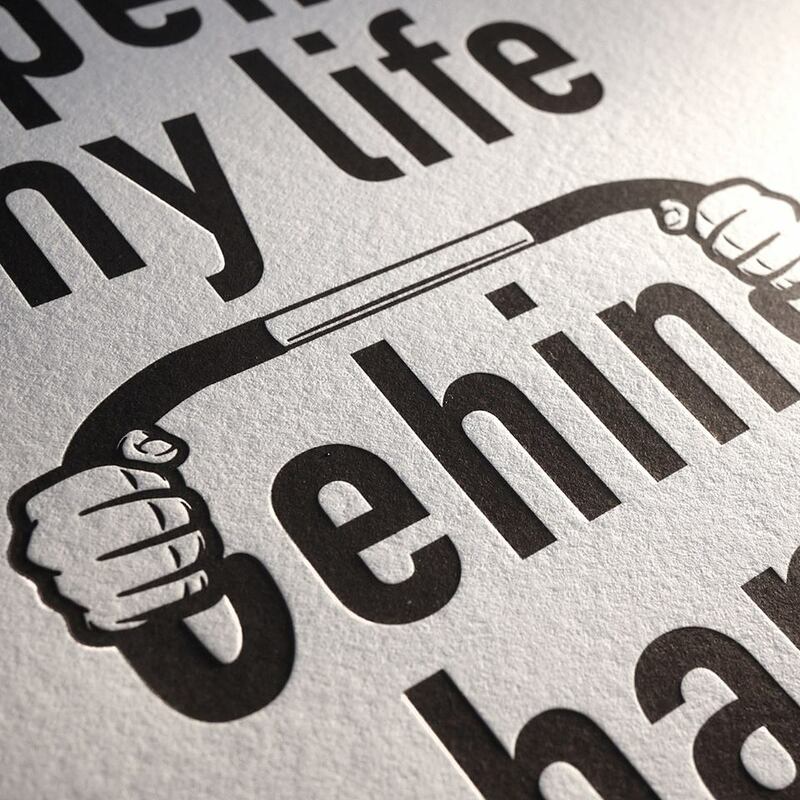 Made for cyclists. This series of motivational quotes are perfectly sized for framing or gifting. Print Quality: Letterpress printing by The Gentlemen’s Press on 300gsm Crane’s Lettra paper (Engineered for letterpress). It is 100% cotton, soft and luxurious to the touch, yet strong and stable on press. Suitable for archival use. * Frame not included. Easily fits on standard frame size (30cm X 21cm) available at any IKEA store worldwide.